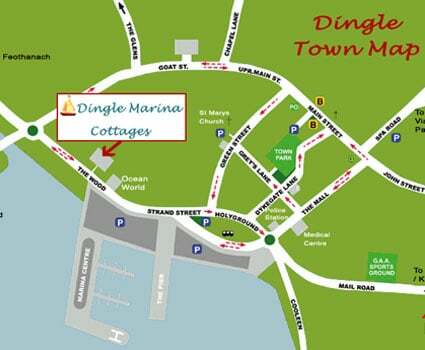 Dingle Marina Cottages are located a short walk from the centre of Dingle town, at The Wood, on the R559. There are 2 main roads leading to the town of Dingle. One being the scenic route which takes in The Conor Pass, one of the highest mountain passes in Ireland. This route, which is not advisable in bad weather, makes for a breath taking journey.  The other route is via Annascaul, birth place of the famous Antarctic Explorer Tom Crean. If travelling from Tralee you can take 2 routes. At Camp, if you wish to take the scenic Conor Pass take the R560, or if you wish to travel via Annascaul take the N86. Upon leaving Killarney take the R563 to Milltown, then take the R561 as far as Annascaul. At Annascaul take the main N86 to Dingle.